Nashville, TN – Noted actor Kevin Sorbo is scheduled to speak on Friday, February 26, at the Film & Entertainment Summit that will be held on the last day of Proclaim 16, the NRB International Christian Media Convention in Nashville, TN. Now in its second year, the NRB Film & Entertainment Summit brings to the stage top Hollywood entertainment professionals, distributors, financiers, stars, filmmakers, composers, and executives. Session topics include script writing, financing, composing for movies, development, directing, production, post-production, distribution, marketing, and “How to Succeed in Mass Audience Movies, Television & Entertainment (Without Losing Your Soul).” Activities also include movie screenings and filmmaker Q&As in the main sessions. In addition, Summit participants can register and pitch their project at the NRB Pitch-a-thon. Last year, one of the top Hollywood producers whose movies have grossed more than $3 billion at the box office optioned an aspiring participant’s script at the Pitch-a-thon. 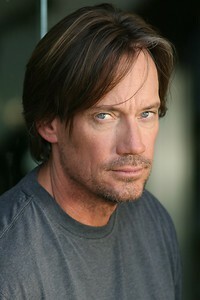 Sorbo received international stardom when he landed the lead role in Hercules, the Legendary Journeys (1993-1999), the most-watched TV show in the world, airing in 176 countries. Following that success, Sorbo had the lead role in Gene Roddenberry’s Andromeda, which debuted as the No. 1 hour-long show in first-run syndication and remained at No. 1 for its entire run from 2000 to 2005. Other notable movies include Kull, the Conqueror, Walking Tall, the Payback, Avenging Angel, Meet the Spartans, and the independent film What If, for which Sorbo received Movie Guide’s Most Inspirational Performance of the Year Award. 2014 saw the release of God’s Not Dead – the most successful independent faith-based movie ever made, and which featured Sorbo in a starring role. Today, aside from acting, Sorbo leads A World Fit for Kids, a successful mentoring model that trains inner-city teens to use school, fitness, sports, and positive role models for themselves. World Fit is the No. 1 afterschool program in California.